CARL RUSSO/Staff photo. 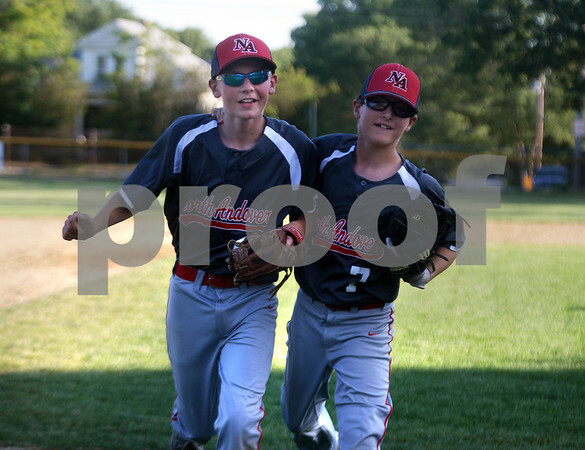 Trevor Crosby, left and Theo Vetere of the North Andover American team celebrate as they run off the field in Little League action against Tewksbury. 6/30/2016.